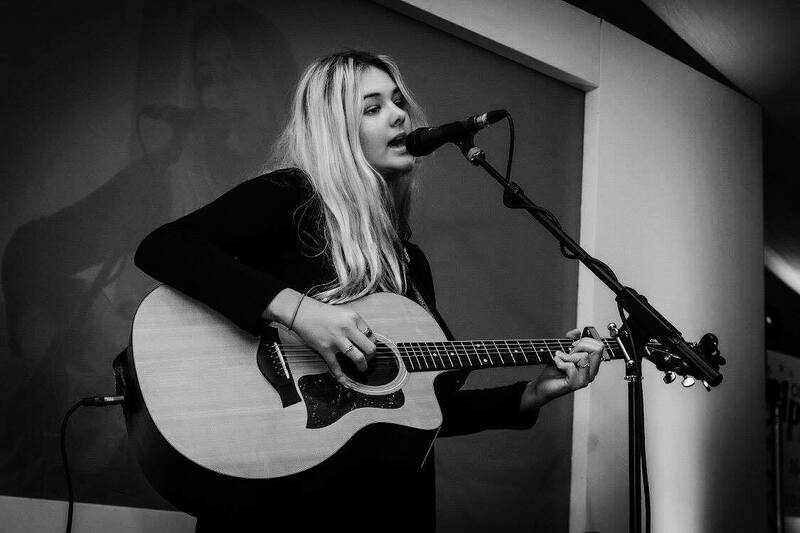 Bailey Tomkinson is an 18-year-old singer-songwriter, living in St Ives, Cornwall. She writes country music from a British perspective, and has just released new single ‘7 Minutes In Heaven’. We caught up with Bailey to find out more about her brand of country. I’m British, so I want my brand of country music to be authentic to that reality… Three chords and a British truth is what I’m aiming for. Hi, I’m Bailey, I’m a 19 year old singer/songwriter from sunny St Ives in Cornwall. I like to write country melodies that hopefully people want to sing along to! I’m signed to German Indie Label FBP Music and when I’m not performing you can usually find me surfing! I wanted Hey Ace to show a bit of range, so it’s quite an eclectic collection of songs, Hey Ace is quite an immediate country pop song and was the one that always got the biggest reaction live but then there’s a couple of more traditional Country songs, a big driving song and a piano ballad! Something for everyone! What was the biggest lesson your learnt from it? The importance of building a good team around you, it really does take a village. I’m so lucky to have people I trust helping me to navigate the industry. Your latest single is ‘7 Minutes In Heaven’. What is the premise? I definitely channeled my love of movies, I’m really drawn to movies like Dazed and Confused and Nick and Norah’s Infinite Playlist for the sense they have where in one, crazy night anything can happen. I thought it would be interesting to try to capture that feeling in a song. You have garnered comparisons to RaeLynn and Jewel. Where do you feel you fit in the industry? I’m flattered by the comparisons and it’s a bit cliched but I want to carve out my own place. I’m British, so I want my brand of country music to be authentic to that reality. I don’t want to impersonate the American scene by putting on a fake Southern US accent or anything like that. Three chords and a British truth is what I’m aiming for. Genre has become a wider term these days, do you feel classification is still needed? Definitely we are seeing blurring of the lines and that’s a good thing…good music is good music irrespective of the genre label somebody applies to it. That said, at the end of the day the listener is the most important. If a label helps connect listeners to music they like then a genre classification is always going to have a use. My guess is that technology will ultimately makes us all a genre of one. With playlists and stuff, we’re almost already there anyhow. If you could collaborate with one artist, who would you choose? So many! I think maybe Billy Joel…he can do everything, amazing melodies and as lyricist I think he’s one of the best ever. He’s incredible. Lastly, what else do you have planned for 2019? Well, I’m back in the studio at the beginning of April recording my next single and after that I want to get out on the road as much as possible. I’m playing my first London gig in Leytonstone on Saturday, April 13th, and then I’ve got Boardmasters along with a few other festivals in the summer. Maybe an EP before the end of the year too? Watch the video for ‘7 Minutes in Heaven’ below. For the latest Bailey Tomkinson news visit her Facebook page.